The Homemade Flour Cookbook | Naturally. I’ve had this date marked on my calendar for months now and while the cookbook released out into the wild a little over a week ago, I was still holding on to this date. During the month of June be on the lookout for awesome giveaways coinciding with the book, tidbits and even more recipes to use with home-ground flour, and other bloggers featuring recipes for the book. Now, I mentioned more video on the site awhile back and I figured what better time then a cookbook launch to start! I wanted to share with why I love this book and a video felt like the perfect way. Stayed tuned! First giveaway coming tomorrow! Ready to order? 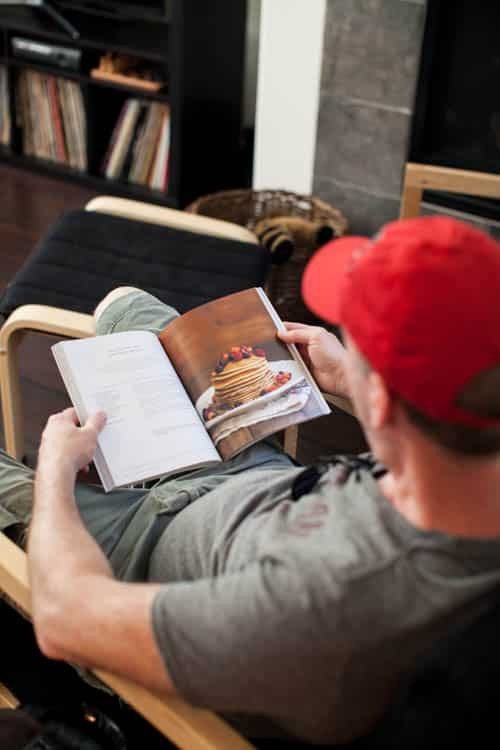 The Homemade Flour Cookbook is shipping now! Congrats Erin! What a huge accomplishment. The book looks beautiful. I hope you sell the heck out of it! Hooray! I am so proud of you. Congratulations, Erin!! This is so exciting and the book looks absolutely beautiful. Congrats, Erin! This book sounds and looks amazing. tell mike he did a nice job on the video. Beautiful! I’m so excited for you, and I can’t wait to read the book. HUGE congrats, Erin! Your book sounds wonderful; love your approach to food. What a beautiful book trailer! I pre-ordered your book a long time ago and was so happy to have it arrive at my doorstep on the release date. I read through it two times already just to read it and be a part of that space. Your book is so calming! The white space in the photos is fabulous as is the natural materials you use in your photos as props and backdrops. This morning I used it as a meditation of sorts before teaching my yoga class and I went through and flagged it all with Post-It notes. My kids loved the amaranth, oat, and buckwheat pancakes and we look forward to trying some more recipes from this book! Thank you for the wonderful book AND for the inspiration to start milling my own bean, lentil, and seed flours and working on a few creations of my own. Much success with this book and in your future pursuits!!! Congratulations, Erin! Your books sounds lovely.